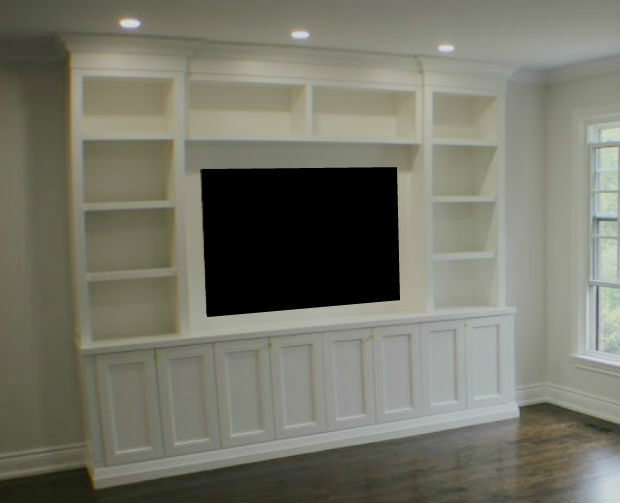 This Toronto wall unit was part of a larger home renovation project for our client. 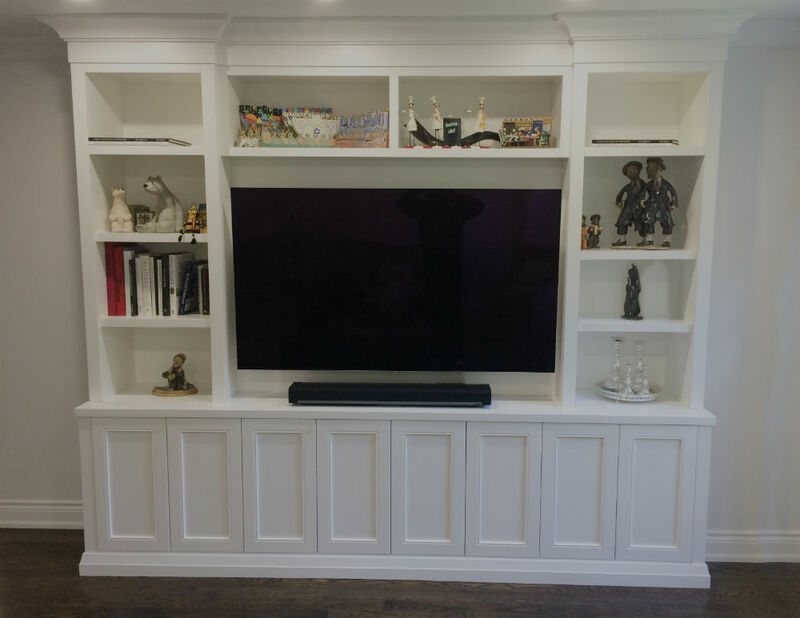 The wall unit is painted MDF in a white shaker cabinet. 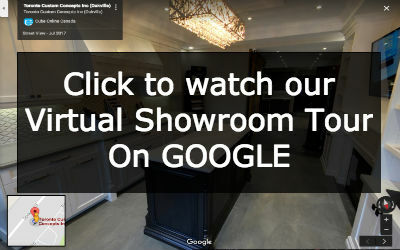 The built-in included open shelving running along both the left and right side of the unit to compliment the open shelves above the area for the flat panel TV. The lower section of the wall unit include 4 sets of cabinet doors. 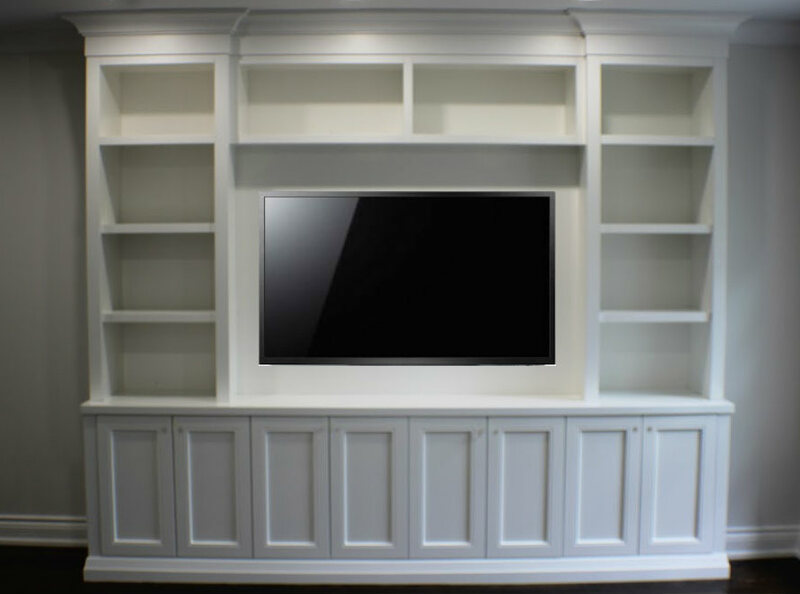 The built-in was finished off with lovely crown moulding on the top and furniture base running along the bottom of this wall unit.